For serious indoor growing and starting plants from seeds, light is far more important on a daily basis than water. Here we've compiled and reviewed some of the best LED grow lights for indoor plants To help them Grow Bigger, Faster, and Better. Read on for more info about using artificial lighting for indoor gardening. Without a doubt, LED grow lights are the best high-quality plant light choice on the market. Not only do I see them as a worthwhile investment, but they are also ideal for the process of photosynthesis, which is necessary to ignite the growth process of both plants and vegetables you've indoors. Think of the indoor grow lights as a system that gives plants the excellent balance of temperature, light intensity, and support. In other words, they act as a utility to support the growth of your plants all year round without relying on natural solar. 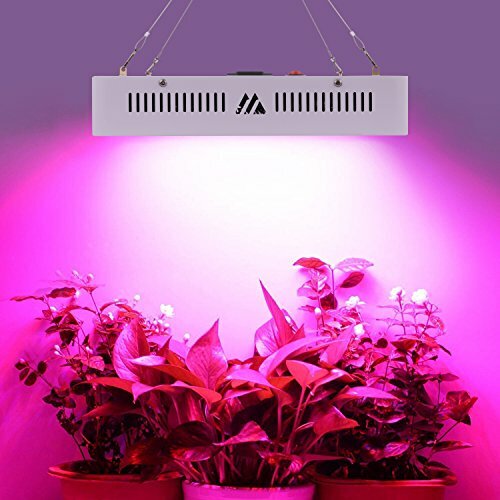 My goal with this post is to answer the questions of “why LED lighting is the best choice for indoor plants?” and “How to Choose the Best grow lights for indoor plants?” as simply as possible..
After spending countless hours of test the various plant grow lights options available on the market as of today specially designed for indoor Growing , we're convinced that California Lightworks Solar System 550 is the Best Led Grow Lights For Indoor Plants. Whether you’re a seasoned hydroponic grower or looking to extend the veggie growing season. The three things that makes it stand out are energy consumption, weight, and light spectrum. As of 2019, they are lots of LED grow light coming out of the market every day. If you've been on the market lately, you would've noticed that they're lots of choices and options. 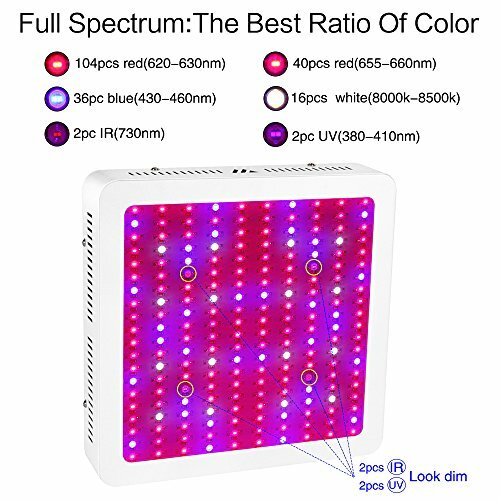 And the worst part, if you don't know what you're looking for, you may not even get close to selecting the best LED grow light for indoor plants. I'm not surprised, by the way, this happens lots of time. You go to the market only to be bombarded with arrays of options which don't make sense. Here I've simplified everything for you. Here is a table to provide you with a description of our favorite indoor grow lights. Plant Grow Lights: Which Kind to Choose? Visit any forum, and you'll see lots of conflicting ideas about which kind of LED light is perfect for indoor plants. So today, I want to educate you about the three different types of lighting that exist today. Most importantly, I want to walk you through the pros and cons of each light. I'm damn sure; you will find the answer to the most pressing questions you've about this light. Keep in mind that with any grow light, it is easier to grow your plants including vegetables. Without further ado, let's look at the different lights. Incandescent grow light is the cheapest light you will find on the market today. An average incandescent light cost around $5. Most of them've an average of 150 Watt, and you can get them in your local hardware, nursery or online stores. Incandescent light is ideal for small house plants or succulents. The most significant drawbacks about using incandescent light are that they're not efficient. For instance, the amount of light they give is little compared to the amount of light your plants need. Second, while they produce lots of red light, your plants need both red and blue light for healthy growth. If you've to use incandescent light, then you are better off supplementing light because they're best used on flowering plants. The last thing why they're not suitable is because they've a short lifespan of 750 to 1000 hours. In other words, you’ll have to repurchase these lights after 4 or 5 months depending on how you use it. Fluorescent grows light is the next big thing ever happen to growers who used to complain about the limitation of incandescent lamps. Unfortunately, I consider fluorescent lights to be a poor choice when it comes to flowering or budding plants. Okay, why? After using them for sometimes, I saw that most of them had a low lumen. Seriously, I would recommend fluorescent to people who are growing herbs or other plants that need less light like Philodendrons. With a standard 20 to 40-watt fluorescent, it is enough to start seedlings. Alternatively, they're High output fluorescent lighting which produces lots of light than standard fluorescent lights. They're suitable for large plants or if you've a large grow tent. But what I found is that, you can still use them if you've a small space in the garden. With just 10,000 hours of light, you can comfortably grow your indoor plants. That's only possible if you choose high-end fluorescent light. The key benefit of using high-end fluorescent light is that they produce lots of light and you can place it on closer to the plants. Ever wished to have bright lights for your plant? Then I've good news for you. You're looking for HID lights. Honestly, these lights are great but expect to pay more for them, because a 1,000 watts HID lamp can produce lots of lights than 50 45-watt fluorescent lights. Can you imagine that? And it is just one bulb alone. What's more, a single lamp can deliver 10,000 cumulative hours which can last long enough from one harvest to another without you experiencing any problem. Apart from that HID lamps have a documented history of improving plant's growth and yields. Many professional and large-scale growers swear by that their yields and produce increased the moment they used HID lamp. Metal halides have high power and deliver excellent coloration to plants that need lots of light like the Cannabis. Because of their blue light spectrum and composition, they're the perfect options for plants during the vegetative phase. High-Pressure Sodium (HPS) work similar way like the Metal halide (MH). The only difference is the gas mixture. They've sodium which provides the orange-red color, a spectrum that's excellent for flowering phase and activates the hormones in cannabis plants. An excellent HPS lamp can give you roughly 18,000 hours of light than metal halide. But it consumes more energy because it generates lots of power. The most significant drawbacks of using this light are that you cannot connect it to a standard light socket. You've to use an electrical ballast and special cover to plug it, and this involves increasing your power consumption too. 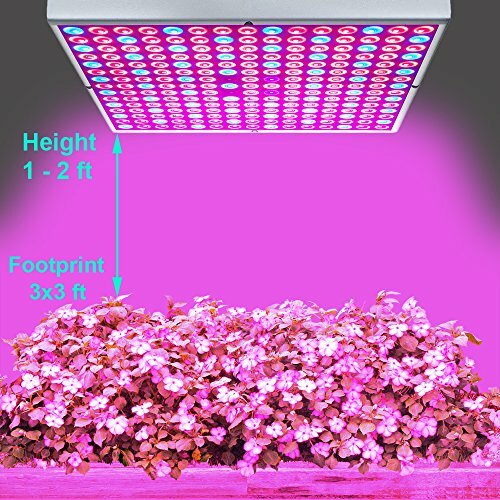 LED grow light are the newest form of light technology used to enhance the growth of indoor plants. They're small in size and perfect if you want to cover a small area. They're easier to assemble and only a few inches in diameter. You can mount them easily in your greenhouse or garden. If you've a place to hang them, that would be fine. When it comes to weight, they're super light; you can comfortably move them from one place to another with ease. 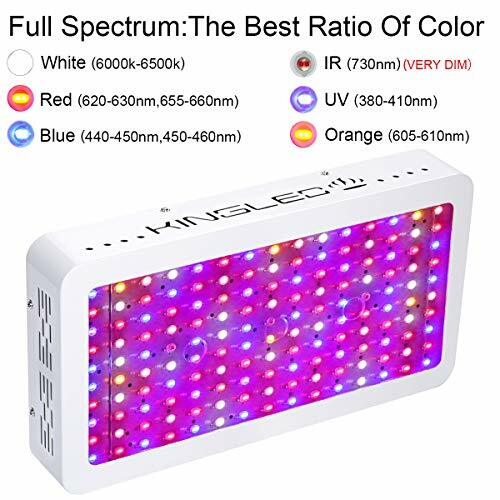 If you've used any them before, you'll notice that they've blue and red light which are the required colors for a perfect balance of light spectrum for the plants. The only thing that you won't find in this light which is a great thing is that you don't have a green-yellow light, which we see as humans. The LED light is undoubtedly the most significant technological advancement in indoor gardening. Why LEDs Are Best For Indoor Growing? Because they're tiny and can outdo fluorescent and give HID lamps a run for their money. Do you also want to know the next big thing about it? They are estimated to be at least 40% more energy efficient than standard light shape. You're good to go with these set of light if you can't afford HID lamp or you're looking for something that will save you on energy bills. Choosing a grow light is not something that comes naturally for growers. There are lots of things that growers need to consider before selecting the perfect light for their plants. If you're buying these lights for the first time, chances are, you don't have a checklist for factors you need to look for. Don't worry because I'll show you the checklist I use every year to buy a grow light for my cannabis plant. Read? Let's begin. How much electricity do you need to grow plants? The answer to this question depends on the type of plants you're growing and the available space you've. If you've a large area, you will need more output. A good LED light can run for 10 to 12 hours offering plants the needed spectrum for growth. A lumen refers to the brightness of the grow light. If you need more bright lights, you'll have to use more watts. Superior or high-end LED grow lights will always be more powerful and cost less to run. So, when you're shopping keep in mind about the brightness and number of watts an LED grow light consumes. 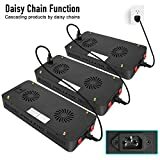 Great LED grows lights need to have an excellent cooling system like what you would see on a computer. Most LED grow light will always come with a heatsink and fan to cool your plants. Cooling is integral for plants growth. An LED light that has a full spectrum of colors will offer your plants the ideal condition in their growth. Most importantly, you'll be in a position to adjust to the spectrum you want depending on the growing season. 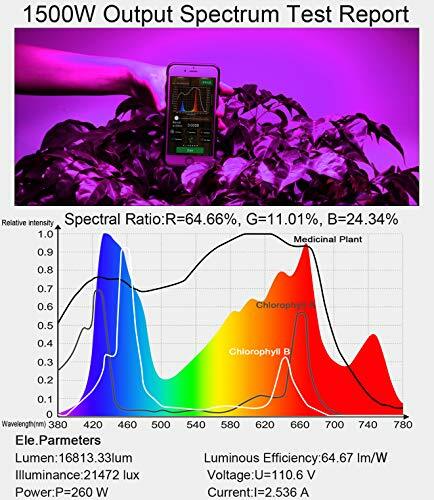 The difference wavelength you'll see on the LED spectrum is ideal to ensure that your plants get the necessary light to meet all their needs in the growing circles. Keep in mind that an LED grows light that runs entirely on spectrums are cool and less to run. Rarely are you likely to spend more on electrical energy? It is the most important consideration when it comes to buying an LED grow light. First, before you shell out your cash, measure the amount of space you've. Second, LED grow light will always come with a maximum area that it can cover. Second, after you've done that, always don't buy the exact dimension, go higher. Let me explain. 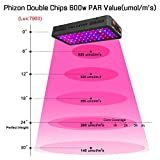 Let's say that you've an area that measures 2 feet by 2 feet, the ideal LED grow light for your situation is probably going to be 3 feet by 3 feet. Your plants will have more space and receive maximum sunlight with the right spacing. They are many options in the market today depending on your choice: 2 channel light, full cycle light, and programmable light. If you want to customize your spectrum, then you probably want to go for programmable light because they've advanced features. That said, you can always programme your light so that it runs on autopilot without you having lots of headaches. If you forget a lot to turn off the lights in your garden, these kinds of lights are perfect for you. The Viparspectra reflector happens to be the most popular Led grow lights for small-scale farmers. It is budget friendly and does an excellent job of providing optimal light enough to cover 2 feet by 2 feet area. But the price is not the only thing that makes buyers wait in line for this Viparspectra reflector? Other features make the Viparspectra a worthy every dollar. Let me explain. 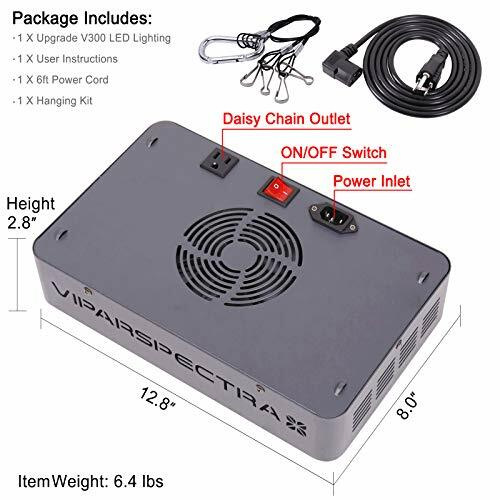 The Viparspectra comes with 5-Watt LED that deliver a full spectrum of light. 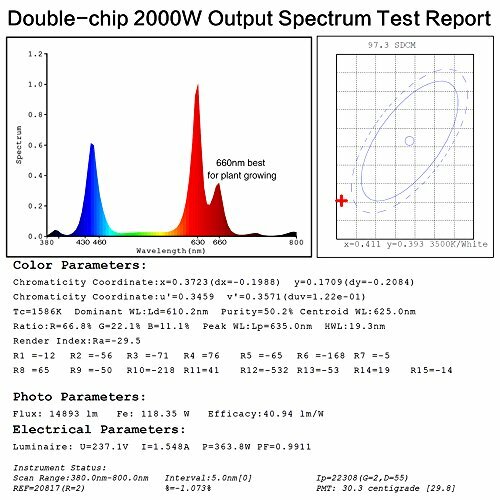 Initially, the Viparspectra used to have 250 Watts HPS, but now it has V300. The advantage of this is that it prevents the plants from burning hot. Most importantly, it has large fans that control the heat so that it doesn't sink or need a ballast. On the label, you'll see that it's rated 300-watts, but it doesn't mean that it will consume that much energy. Initially, that was my thought until I measured the actual watt and noticed that it uses only 136 watts. In my opinion, using electricity that is pretty much less compared to the three running 60-watt incandescent bulbs. Let’s Talk About What We All Want To Hear, Coverage? I had no issue with light coverage because it covers 4 square feet and you can comfortably grow four plants with it well. Alternatively, it'll cover 2.25 square feet during the flowering season, and it will be perfect if you've two plants. If anyone had told me to try out the California lightworks on my garden, I would be skeptical. The California lightworks happens to be a great LED grow light among hydroponic builders. The main reason being that it consumes less electricity. Initially, tests I did with California reveals that it only drew 400 watts, which makes it energy efficient and economical for commercial style gardening. You're also likely to save at least 40% on power using this model. In other words, it won't consume much power at your home. Besides that, your yields are likely to be high because the 550w light is perfect for many types of growers. In other words, whether you're doing a single-light tents or commercial style gardening farming. you'll find California lightworks to achieve every need you've at home. On the weight side, after unboxing the light and we found that it weighs around 13 pounds. Assembling and adjusting the light in our garden was icing on the cake. Out of all the six products I've reviewed, I'll vouch for the California lightworks. It will make an excellent addition to any garden. Most importantly, the California lightworks company has a great history of innovation and technological advancement. In other words, you're in safe hands buying from a company that has an excellent reputation with its line of product. 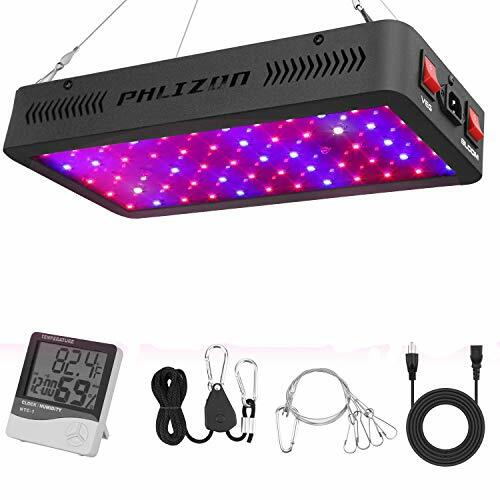 I don't know why Philzone hasn't received much attention to growers like other LED light despite having excellent performance. But I couldn't stomach the curiosity in me, so I decided to give it a try after all Amazon had a 30-day return policy. So, here's my finding. 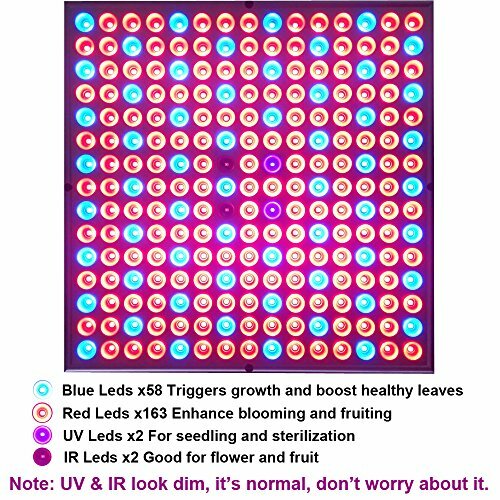 The presence of IR and UV in the LED light is what delivers a full spectrum of light to raise your plants to maturity. With 60 Dual chips LED light, you're guaranteed to have 600 watts for maximum light intensity for your plants. This is a lot considering the retailing price for the light. When I tested the watts to match what it was advertised for. I found that it only consumes 185 to 190w of electricity capable of covering 2 feet by 2 feet with an actual height of 22 inches tall. I know it is a great product, but it produces low power output compared to the Viparspectra. But I can't complain since its price is much lower compared to Viparspectra. Looking at its design, I saw that it has two dual switches, one for flowering and the other for growing phases. The high blue light works well when you're growing plants while the red light is excellent during flowering. The thing that I love most about it is that you can customize the light options depending on the stages your plants are going through. The only thing that I'm not happy with is that the cooling fan is a bit noisy. I wish the company did something to minimize the noise. And before I forget, the packaging could also be a little bit more discrete. Anyone that has grown plants understand that it is no joke raising plants indoors. There are lots of things that need to be in place before the plants start growing. 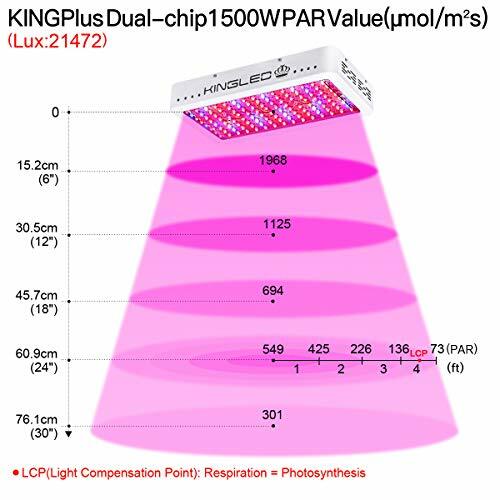 ...But what if I told you that the King Plus 1500w could be the LED light you're looking for. Let me give you a low down about it. Most LED light on the market today, have a single 3-watt diode. 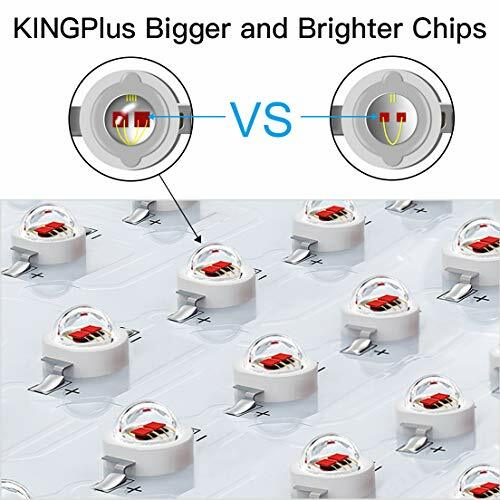 But in the case of King Plus 1500 W double chips, you've a two-watt diode on a single ship. This should make you put a smile on your face because the technology is excellent at providing uniform, bright light for the growth of your plants. What's more each, a diode is has a ‘zener protector' that makes each LED resistant to prevent burn out. Did I forget to mention that each parcel comes with its ball bearing fan that runs to keep things cool? Yes, it has that. The spectrum of light is something that deserves mention. 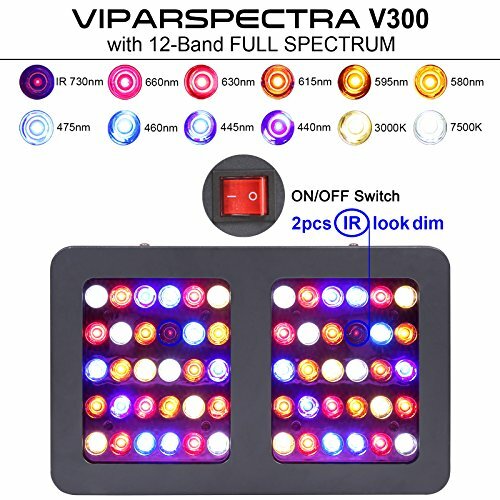 If you have used LED light to raise your plants, I guess you've seen the standard purple or pink light colors. And maybe like me, you may not know the benefit of it to plants. The beauty of these colors it to provides the essential wavelengths of light that are ideal for the growth of your plants in all stages. In other words, the red, the blue, the yellow and the white light give your garden a proper spectrum. Besides that, these colors come paired with infrared and ultraviolet light that resembles the sun's light. Imagine for a second if you had an LED grow light that provides 50,000 hours of bright light to your plants. And the second beautiful thing is that it runs on a 45 Watt. If this is what you're looking for, let me introduce you to the Onsuby LED grow light that covers 3 feet by 3 feet. One more important thing you need to know is that it also comes with a steel hanging kit. 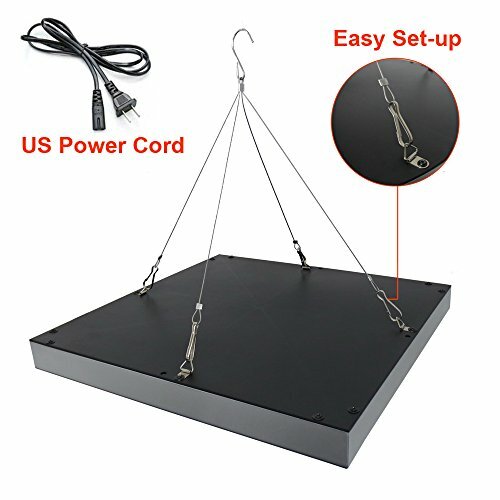 The Hanging kit is advanced and makes it easy for you assemble and hang it next to your plants. And because of that, you'll find this light very suitable when you're seeding, flowering, during vegetation and germination. 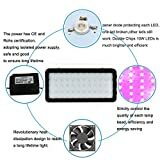 While we are still on the light, I also noticed that it is luminous and you can control the amount of heat so that your plants won't experience overheating. Keep also in mind that very few plants have features like this. If you been looking to try out the Onsuby LED grow light, you've excellent reason to give it a try. Trust me, using this light to raise your plants, is something that you won't regret. 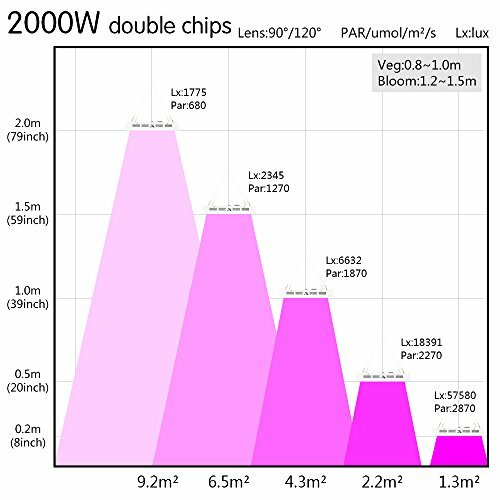 Little is said about the Morsen 2000 W double chips, and today I did the courtesy of testing it on my small garden to see if it measured up to my expectation. Maybe perhaps it may be the LED grow light you want. Morsen has fans that run well, without producing lots of noise. 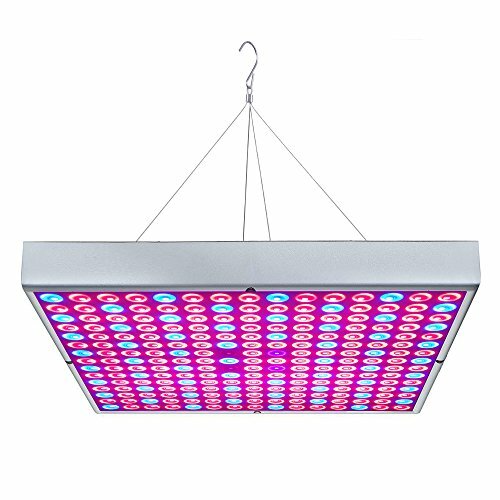 If you've used an LED grow light before, I'm damn sure you've used something that's quite noisy in the past. With Morsen, the fan will do a great job of cooling your plant for long without the loud noise. Let's shift our attention to the switch. I'm happy to report that it comes with two switches to regulate light intensity. For instance, if you notice that the light is too much during seeding, you can regulate it or turn it off. Before we move to the next benefit, let me keep you in the loop about its light. It has an excellent light spectrum of yellow and white that resembles the natural solar light, which is something that all plants need to grow well in a perfect condition. With Morsen 2000W double chip, you can cover 4 feet by 4 feet. But the actual coverage according to my tests is 3 feet by 3 feet. So, my advice is that you should buy it when you need 3 feet by 3 feet grow coverage, you won't be disappointed. I consider the Morsen to be powerful because of its 2000 watt, which means it can produce enough lighting without consuming much of your electric bill. Apart from that, it also comes with six powerful fans that we've talked at the beginning which work hard to make sure that your plants are cool and heat is distributed evenly. Seriously guys, what more could you want from Morsen 2000W LED grow light. I know it is tough choosing the best LED grow lights for indoor plants. Even us, we had the same problem because we wanted something that would be beneficial for cannabis plants and some vegetables that we grow in our garden. It is after testing several LED grow lights that we found the perfect match that blends well with your plants. But initially, the cost was too much because we didn’t even have a checklist to follow when buying these grow lights. So, like any amateur, we made decisions based on the hypes we heard on the market. And the experience didn’t turn out to be well. The good news is, you won’t have the same experiences like an expert grower, because what you've just finished reading is the guide we wish we had when we started indoor gardening. In other words, you can trust us and everything will be fine. We've spent lots of hours to review these six products so that you won't end up choosing a wrong LED grow light. I hope this guide was resourceful to you.